Free download Protected Folder latest version. It helps you to protect your confidential and important data either a file or a folder. If you are worried about your personal and sensitive data and protect them from other users of your laptop or PC, then don’t worry at all now. Because Protected Folder is here to save and hide your data which you want to protect. It is a very project which was developed by IObit. Protected Folder is very light, simple, useful and easy to use software for your PC desktop and t is totally free application. You don’t need to give a single penny to anyone. Just download this desired software and use it. When you install this software then firstly, you need to do is; you have to give the password which you want to give on files and folders. Write your hint if you want and go ahead. You are done now. After that drag and drop files and folders which you want to be inaccessible for others or you can just add them in the list. Finally, click lock and exit, that’s it. Your information in form of files and folders are safe now. 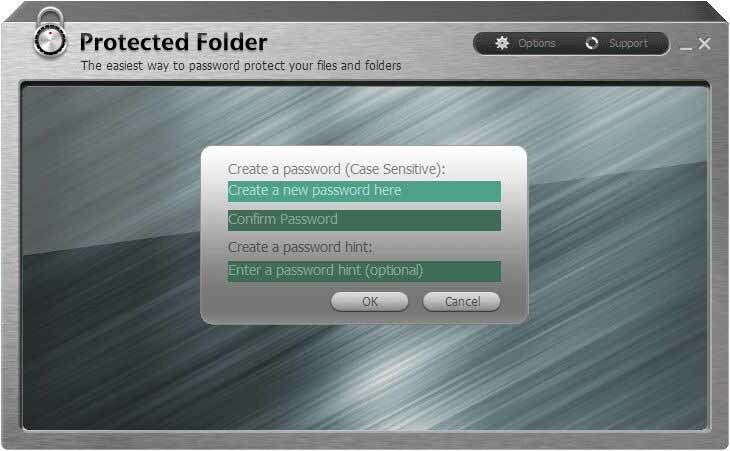 Protected Folder is very effective application and has a lot of advantages. You can customize your settings too. Like you have Hide for all users, Deny read access and Deny write access. If you want these entire three options active for your data then by default they are active. If you want some change then it depends on you. The protected files and folders will not be read, write, moved, copied, deleted or even modified.